Read this article to learn how to login and to resolve forgotten passwords! NB! Please note that the bold "YOURSTORENAME" within the URL above, means that your login page is unique - that part of the log in URL contains your own online store's name. Click "Unustasid salasõna?" ("Forgotten password?") to reset your password. Clicking this will open a window into which you will be asked to provide your username and email address. 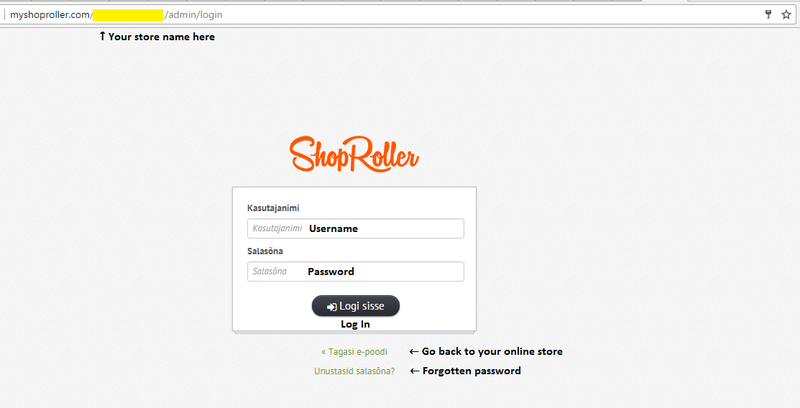 Once these fields are entered, click "Telli salasõna vahtus" ("Request password reset"). If successful, a success message will pop up on screen - and you will also receive an email. NB! If you can't see the email, check other folders within your email account (such as spam/ junk folders). 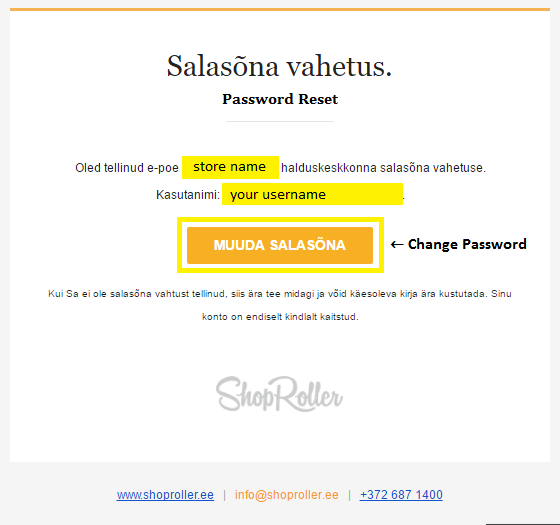 Click the button "Muuda Salasõna" ("Change Password"). 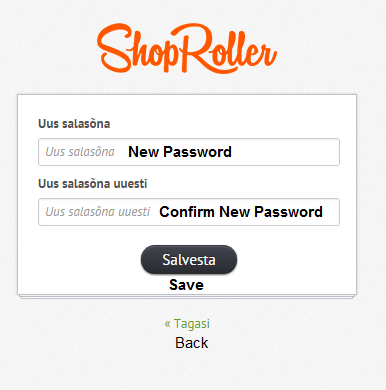 Enter the new password you would like to use (minimum of 6 characters), and re-type the password to confirm. If successful, you will receive a success message - and you're done! I received an error message - what do I do? If you have received the error message "kasutajat ei leidnud" ("user not found"), then either the username or email address (or both) entered is incorrect or not found. To begin, confirm the username and email address you have entered. Both the username and email address entered needs to be the same as recorded in the ShopRoller account - however usernames are not case-sensitive. If you cannot remember your username, view the following FAQ. For Account Owners, the username will be the email address used as when the account was created. If you cannot remember your username, please check the email received upon account creation (email subject: "Sinu e-poe ligipääsud"). For Account Users, the username will be that which was designated when the User Account was created (eg. a name or email). If you cannot remember your username, please contact the Account Owner. If these options were not successful, contact our Customer Support team for further assistance. NB! You will be asked to complete an identification check if contacting Customer Support for the password reset.